It seems like an age since the end of last year’s British Touring Car Championship (BTCC), but at the time of writing this, the start of the 2017 Dunlop MSA British Touring Car Championship is just days away. And nature is almost perfectly timed, for once, as the weather even seems to have suddenly made the jump from Winter to Spring, just in time for the opening weekend at the Brands Hatch Indy circuit, in Kent. Last season, rather ironically, the Championship was decided in the very last race, also at Brands Hatch. As that final race commenced, a theoretical number of 8 drivers could have walked away with that season’s crown. In the end, it was 2015 Championship winner, Gordon Sheddon who again claimed the crown. Word on the street for this season, even before a wheel has been turned in anger, is that we could be in for an even closer season finale than ever before. Of all the drivers and/or cars that RCIB Insurance Racing are sponsoring in 2017, all eyes will surely be on young Aiden Moffat as again returns to the series to show his fearless skills in his Laser Tools Racing Mercedes. At just 20 years old, Aiden is again one of the youngest drivers on the grid and he still retains the title of the youngest ever driver to have started in BTCC (at age 16). During testing, Aiden’s track skills looked no less sharp than drivers nearly twice his age and he won’t suffer fools gladly; his competitive nature is immediately obvious when you speak to him, or his proud father. The MG RCIB Insurance Racing team is this year made up from the experience of the highly likeable Árón Taylor-Smith and 24 year old Daniel Lloyd who first graced BTCC’s hallowed tarmac in 2010. The Tripe Eight Racing managed MG 6 GT’s have had slight issues in testing but issues seem to have been sorted in readiness to the season opener and the partnership of the two drivers will surely be one that will be scrutinised all season by race fans and rivals. The 3rd team involvement is with the flamboyant Team HARD who are putting 3 cars on track this season. In a clever move, each of the VW CC cars is slightly different in its colouring, enabling the three drivers to be easily recognised from the stands. The 3 drivers for this year are Michael Epps, Will Burns, and Jake Hill who each bring experience from a range of track disciplines including the GT4 Championship Series. The VW Passat CC derived cars are highly respected and gives Team HARD a new exciting edge for this season. No matter who ultimately wins in 2017, we’re fairly sure it’s going to be a season of thrills and spills. We can’t wait. Our small, but ever-faithful social media team made the trip North to the Donington Park race track on the edge of Derbyshire this week for the BTCC 2017 Media Day. Despite having had quite a lot of rain across the U.K for the last couple of weeks, race teams, and our social media team alike, seemed quite relieved to see the forecast reporting cloudy, but dry conditions ahead. Whilst BTCC cars race in all but the worst of conditions anyway, and whilst this wasn’t a race event as such (it was the official unveiling of the cars, and their drivers in latest 2017 livery), most teams had only so far experienced testing of the re-worked 2017 cars in wet conditions. They were in desperate need for the data from the cars in dry conditions so they could make better informed decisions for setting up the cars in the warmer, and hopefully drier months ahead. For those who have never attended a Media Day event before, the day basically consists of invited journalists, ‘social media teams’ and other special guests of being shown the freshly decaled cars, along with their selected drivers in their new overalls. The visitors are also able to take some up-close pictures, sit in on media interviews and visit team garages. The drivers were under no competitive pressure on the day and so are encouraged to engage with team sponsors and the ‘journos’ present, before the doors open to the general public at lunch time and the teams get to test the cars, on what was to be a nice dry track. For many, ourselves included, it was really interesting to watch the drivers up close. We were fortunate enough to share lunch with Aiden Moffat (Laser Tools Racing) and his father in one of the corporate boxes over looking the end of the pit lane straight. As occasional track day drivers ourselves, we recall the feeling that often occurs in the gut before hitting the track. You can’t describe it exactly, but we’re sure many of you reading this will know what we mean…a sort of butterflies crossed with bloated feeling. Watching Aiden so calm, and munching his way through a (highly delicious) buffet lunch as he watched some of his season rivals below take to the track in their cars, one could be mistaken for thinking Aiden was just on a day out like ourselves. An hour or so later after a couple of red flags, Aiden was to get out. Laser Tools Racing explained to us that typically, drivers would do a couple of laps in their car before returning to the pits to have the warmer front tyres swapped with the cooler rears. Anyway, regardless of the lunch, Aiden proved that he was as calm and calculated on track as he was in person as he notched lap after lap of very impressive times. His freshly prepared Mercedes looked absolutely superb and gripped corners like it was on rails. Team HARD stood out. They too had an immaculate garage too, but that isn’t why they stood out. It had more to do with the bright pink bobble hats the team were wearing. Whilst this may have been amusing to onlookers at first, it was Team HARD who had the last laugh as whilst dry, the day transpired to be very cold out in the pits. They’d certainly checked the weather forecast. Once the public were allowed in, you could sense the drivers increased awareness of the competition, and by the end of testing, a few of the teams were really gunning for not just discovering their own car’s new capabilities, but also the vulnerabilities of their rivals, giving quite a thrilling viewing experience for guys like us, watching on from the side lines. There were one or two ‘casualties’ of course, possibly over-exuberance or perhaps new drivers driving new cars in their first semi-competitive outing. The next time we’ll see the teams again will be at the first race of the season a couple of hundred miles further south at Brands Hatch on 1-2 April. Next time, we’re bringing bobble hats too. 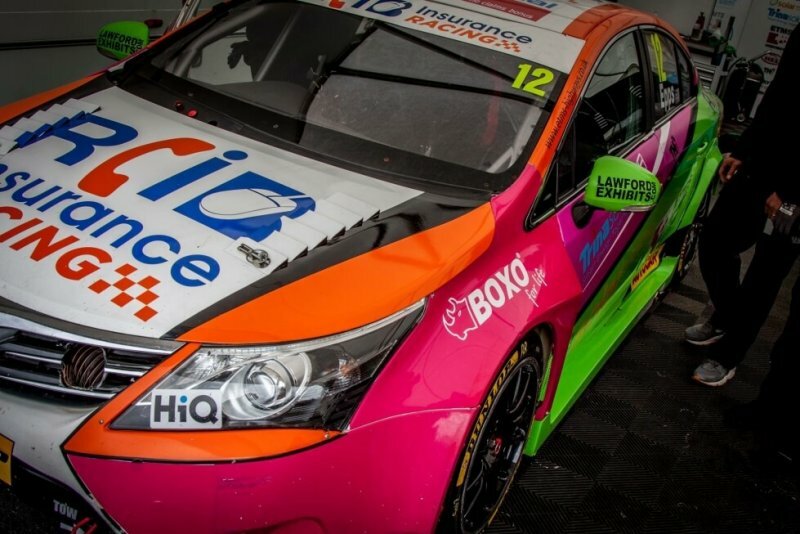 We are very proud to announce an extension to our sponsorship programme with Right Choice Insurance Brokers from this weekend at Silverstone which will see a change to the livery on our BTCC cars. The AutoAid Breakdown livery will now take pride of place on our cars for the remainder of this season as we look forward to 2017 and beyond. AutoAid is exceptional value all-inclusive breakdown recovery insurance. It is the unique membership based breakdown cover that covers the member for any vehicle they drive for one fixed price. To find out more please visit the website www.autoaidbreakdown.co.uk to find out more. Look out for more competitions and exciting opportunities from AutoAid. AutoAid is the unique membership based breakdown cover that covers the member for any vehicle they drive for one fixed price. Following an impressive maiden season this year, Michael Epps will return to the Dunlop MSA British Touring Car Championship grid in 2017 after signing a deal with Team HARD to compete in a Volkswagen CC. 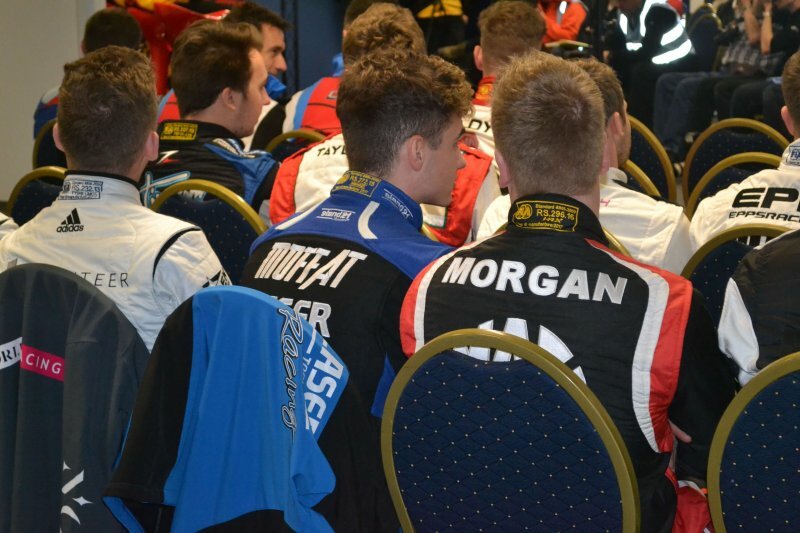 Epps has continued his partnership with Team HARD into a third year following seasons together in the Volkswagen Racing Cup and then the BTCC, with the Hemel Hempstead racer producing a hugely promising first campaign in the UK’s premier racing championship. Breaking into the top ten for the first time in only his third meeting in the series at Thruxton, Epps would go on to secure no less than seven outright points finishes across the season and a top ten finish in the Independents Trophy standings. On top of that, Epps would also be a leading light in the Jack Sears Trophy for rookie drivers, stepping onto the BTCC podium at both Snetterton and Silverstone as the class winner; results that helped him take the class title battle down to the season finale. After racing the ageing Toyota Avensis this year, Epps will get new machinery for 2017 in the shape of one of Team HARD’s newly-acquired Volkswagen CC’s, a model which has been a multiple race-winner in the series in recent seasons. With the 2017 Swindon engine and the RML specification running parts, the Team HARD CC has the potential to be a very competitive package next season, with Epps setting his sights on more points results and podium finishes in his second BTCC campaign. Alongside his racing, Epps will also be providing some exciting opportunities for sponsors and fans throughout 2017, with plans in place to run track experiences in both the touring car and VW Cup racers, as well as simulator events at Simply Race in Milton Keynes. The 24 year old’s return to the pinnacle of UK motorsport comes thanks to the support of Team Hard, continued partners Anytime Fitness and Simply Race, and other backers that are to be announced in the near future. Tony Gilham (Team HARD principal): “We are very proud to have been able to put a package together to retain Mike for 2017. It is important for us to try to keep as much consistency with the team as possible and we have a great foundation on which to build on. He had a great season and we believe that next year will be very interesting to see how far up the grid Mike can get. His pace was outstanding last year and got nowhere near enough credit for his consistent front running lap times each weekend. This article was originally posted on Team HARD’s website. Following a very successful debut British GT campaign culminating in the team championship, Team HARD Racing are very proud to announce the second of their pairings of Michael Caine and Mike Newbould. We feel it is another strong partnership that we have managed to put together as we defend our title and look to compete for the pro/am title too in 2017. Michael is a very successful racing driver having previously raced in the British GT between 2001 and 2007 before moving on to compete in the Porsche Carrera Cup GB where he finished as runner up twice. 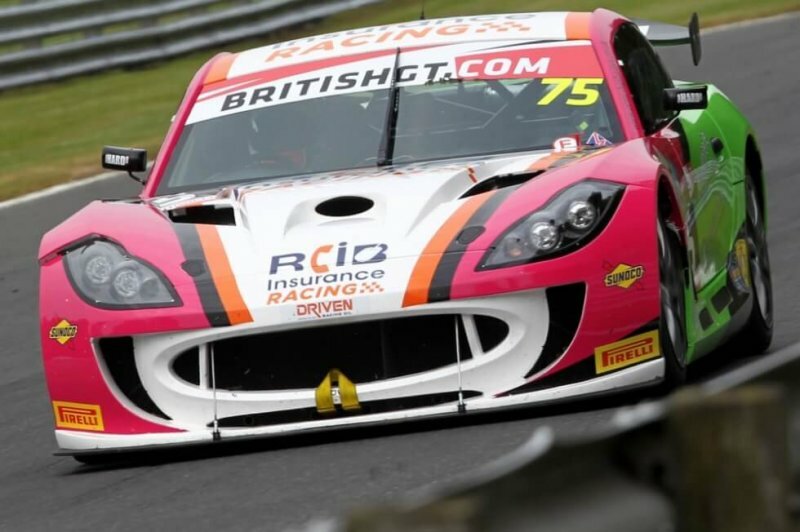 Michael was to become the British GT Champion in 2012 and will now return to the Championship in the GT4 category at the wheel of a brand new Ginetta G55 built to the latest specification. 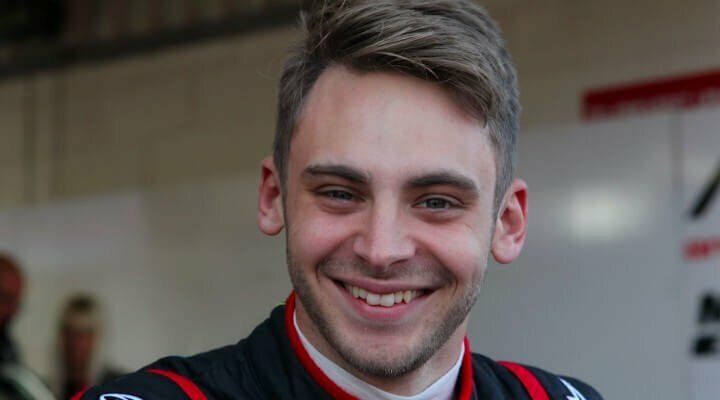 Michael is no stranger to the team having raced alongside us in the Carrera Cup GB as well as competing in the British Touring Car Championship for us in 2016 before an unfortunate injury curtailed his season early. Mike joins the team for 2017 after recently sampling one of our BTCC car’s from 2016 and having competed in the Ginetta Supercup last season as well as some seat time in a prototype car. Mike is a very capable driver and will look to work with Michael to further develop his ability as a racer and build on his relative inexperience. Mike added “I am incredibly excited to be part of Team HARDs British GT campaign for 2017. I can’t thank Tony enough for putting this together, the opportunity to race along side Michael is fantastic for a new driver. I am really looking forward to drawing on Michaels skill and experience to help me develop as a racer in what is going to be a busy and exciting year ahead in British GT. The new cars are currently in build at the Ginetta factory and we look forward to collecting them in the coming weeks to begin our test programme ahead of what we hope to be a very successful second year in British GT. Thanks to Team HARD for writing this article, which was originally posted on their own website. Last year, MG focused on using young, developing driver talent and creating new household names.In 2017 MG Motor will continue the strategy to combine exciting young talent with more experienced drivers. The line-up for the new season will be Aron Taylor-Smith and Daniel Lloyd in the MG RCIB Insurance Racing team. Ian said “I’m happy that these guys will deliver some solid results for the team. Aron is a proven race winner, and we know Daniel has the speed. With more BTCC race experience under his belt, he will be running at the front. The championship looks wide open this year with plenty of other changes in the line-up, and we expect to be right in the mix. 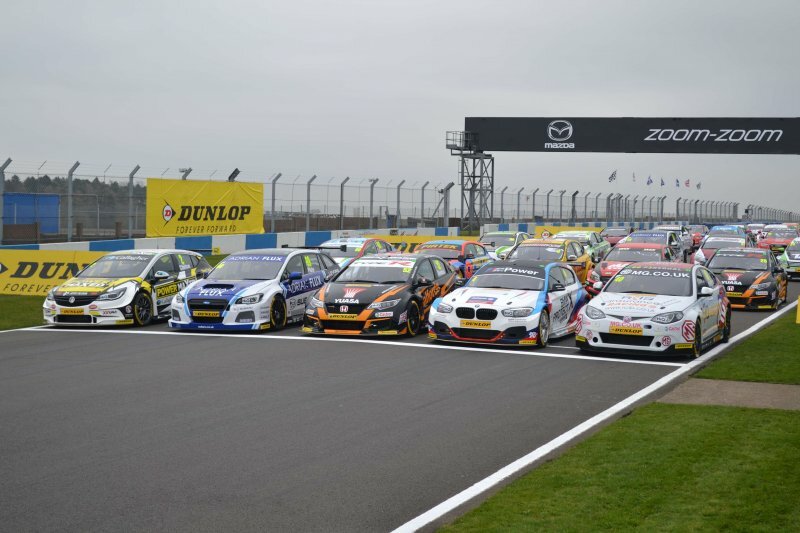 “The BTCC is obviously a hugely important part of MG UK’s marketing mix not just in terms of the huge television and trackside audiences but through the additional activations that we bring into our dealer network and events work. Thanks to Triple Eight for writing this article, which was originally posted on their own website. 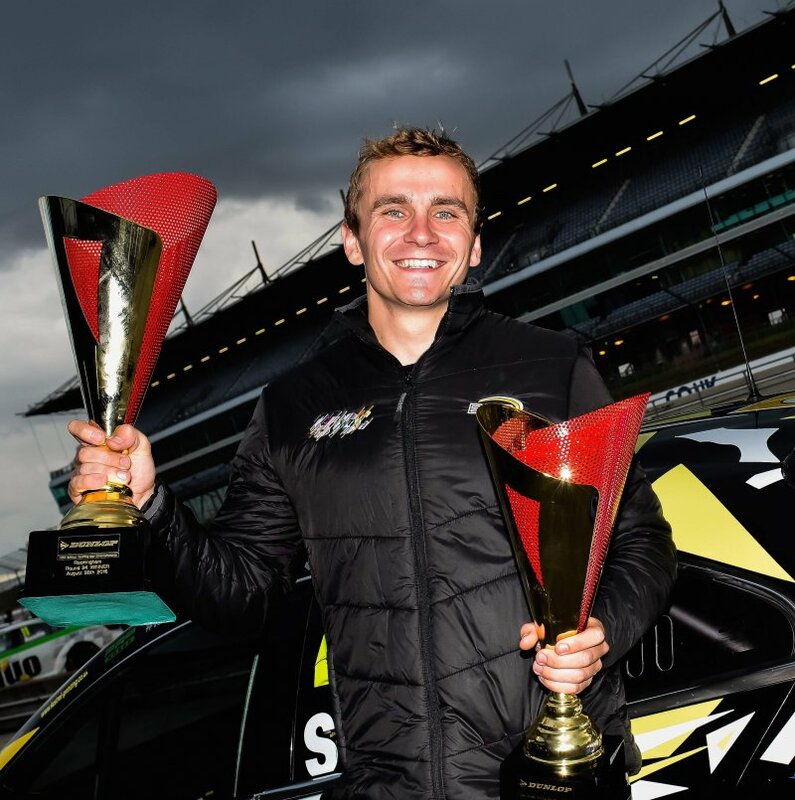 22 year-old Jake Hill will race a Team HARD-entered VW Passat CC in this year’s Dunlop MSA British Touring Car Championship, the Kent-based racer targeting regular points finishes, and to build on his impressive 2016 campaign. “It’s fantastic to know I will be back with the team and continuing my journey with them. 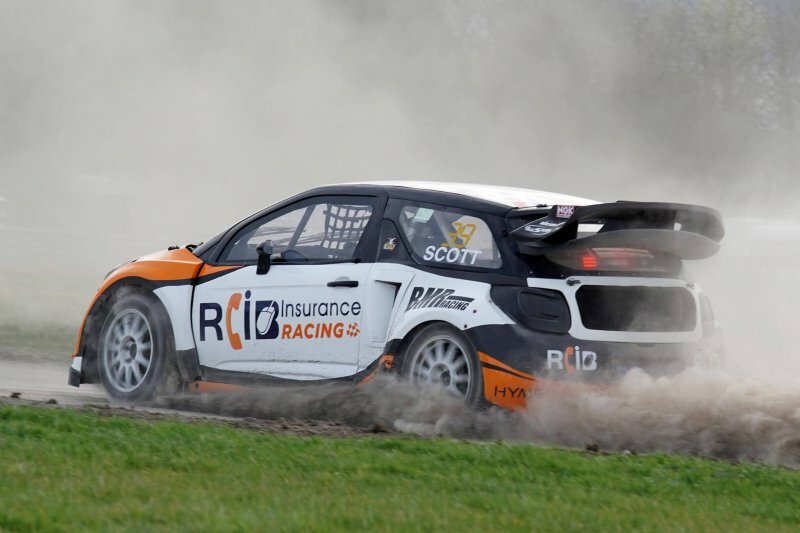 I am hugely grateful to Tony (Gilham) RCIB Insurance, AutoAid Breakdown and TAG Industries for working to get me back on board for this season, and equally have some incredible support from Sportif Motor Group, Brisky Racing and our new partners Rolec Electrical Contractors.